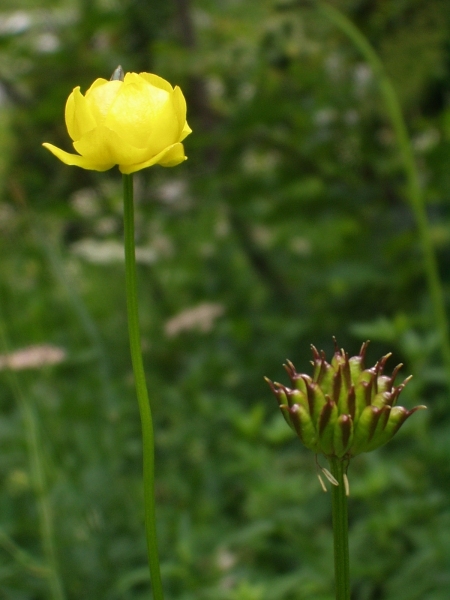 The flowers of Trollius europaeus do not open, but are pollinated while still closed. The fruit (right) are a group of capsules. 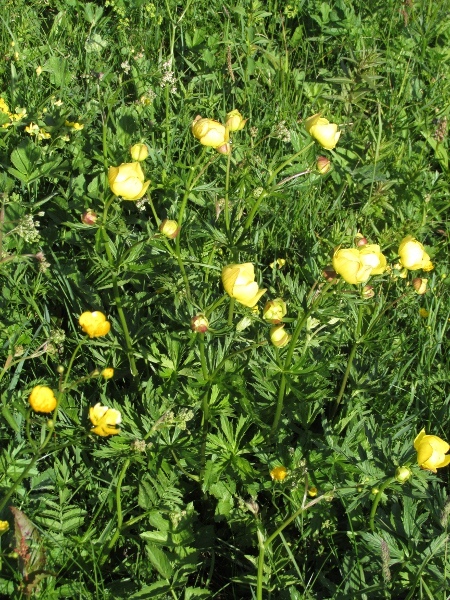 Stands of Trollius europaeus can be conspicuous.